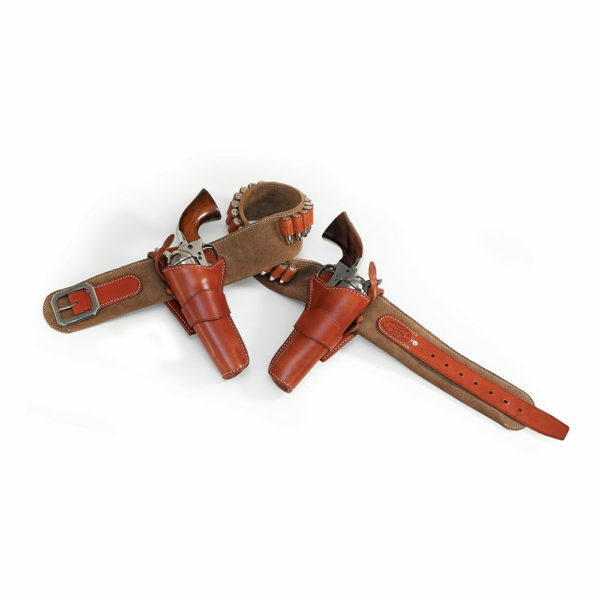 This top of the line rig is modeled after our famous #44 Outfit that we made for John Wayne for use in 1976 movie, The Shootist. 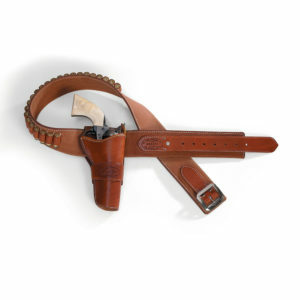 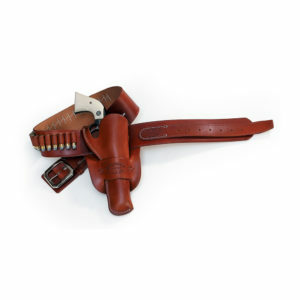 The forward canted holsters are top-grain leather lined and blocked with angled blocking guns for easy reholstering. 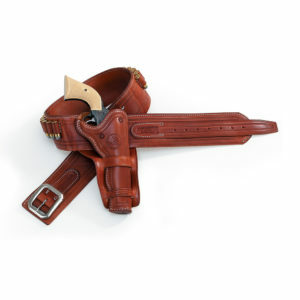 The 3″ wide belt is constructed of soft, but durable suede. 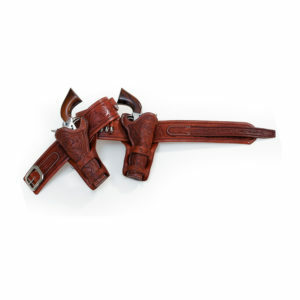 This rig is without a doubt, the most comfortable rig on the market today.